Clean and beautiful, Trespa Pura NFC® in Aquamarine accentuates the style of modern homes. Trespa expands on its innovative line of Trespa Pura NFC® sidings by adding ten new beautiful decors designed to accentuate the style of modern and traditional family homes and light commercial applications. The additions to the Trespa Pura NFC® range include eight Uni Colors (Pure White, White, Pale Yellow, Aquamarine, Silver Grey, Quartz Grey, Anthracite Grey and Wine Red), and two Wood Decors (Mystic Cedar and Siberian Larch). The siding is highly durable. Planks undergo extensive testing for impact and UV resistance, and come with a 10-year product warranty, which includes color stability. At the 2017 International Builders' Show, Trespa North America showcased the new Trespa Pura NFC® decors alongside the existing, warm Wood Decors. Used on their own or in combination with Trespa® Meteon® façade panels, Trespa Pura NFC® can help builders create an exterior that fits any residential style, anywhere. 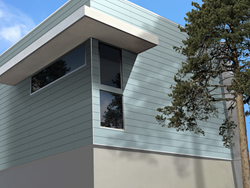 Trespa Pura NFC® is a contemporary form of exterior siding that is as durable as it is attractive. It is crafted from up to 70% natural fibers that are impregnated with thermosetting resins and features a closed surface that ensures optimum weather resistance. The siding does not need to be painted or lacquered, and eliminates the worry of unsightly stains or wood rot. Additionally, Trespa Pura NFC® withstands the daily challenges of family life to inspire carefree living. The innovative material is highly impact resistant and cleans easily with soap and water. 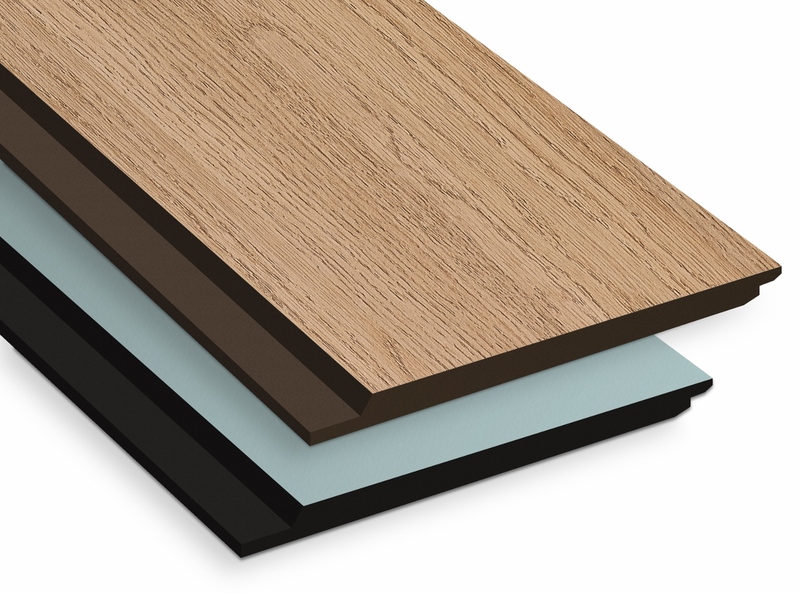 Trespa Pura NFC® is delivered as pre-packed sidings. Matching accessories can be ordered separately. For product availability, contact Trespa North America at (800) 487-3772 or mailto:info(dot)na(at)trespa(dot)com. Trespa Pura NFC® Uni Colors complement existing Wood Decors.